Flat Taxes: How Would GOP Plans Affect Different Community Types? As the early stages of the 2012 campaign progress, a new question has come into play: Are the rich really different? Or, more specifically, should they be treated differently in the U.S. tax code? Flat-tax plans — or flatter-tax plans — are popular among those in the 2012 Republican presidential field. Texas Gov. Rick Perry unveiled his proposal to reform the tax code Tuesday adding the third major flat-tax proposal to come from GOP presidential hopefuls. Herman Cain’s 9-9-9 plan and Newt Gingrich’s proposal were already circulating. The idea behind a flat tax is simple. The tax code has gotten so complicated that it needs to be cut back down to size and a “flat tax” — where there is one simple rate that everyone pays on income – is a quick and easy way to do that job. But behind all that ease is one big broad question: How exactly do Americans feel about everyone paying the same percentage of their income in taxes? After all, the current system may be complicated, but one of its biggest hallmarks is a graduated set of rates. The wealthiest Americans pay a bigger percentage (35 percent) than the poorest10 percent). And the issue of “what are other people paying in relation to me” is not lost on the county types in Patchwork Nation, where the median incomes can be dramatically different from one county to the next. Of course, all the current flat tax plans are different. Cain wants a 9 percent rate — remember 9-9-9. Gingrich comes in at 15 percent. Perry’s proposed rate is 20 percent. And for each there are additional factors. Perry would still allow a home mortgage deduction, for instance, and his plan, like Gingrich’s, would be optional — you wouldn’t have to use it. Beyond the particulars though is the idea that everyone should pay the same thing. And while everyone likes the idea of a simpler set of calculations at tax time, selling people on one-size fits all might not be easy. There are wide differences in what people in different communities bring home in their paychecks. Look at the map below, median family incomes in 2010, and you get a sense of just how different the incomes in neighboring counties can be. It’s not uncommon to have differences of $20,000 in annual income when you cross a county line. What difference does that make? Plenty. Americans are quite conscious of what they earn. You can call it class war if you like, but the idea of making “the rich” pay more in taxes is gaining traction, according to American Crossroads, a conservative political action group. A poll the group did found 64 percent of Americans favored raising taxes on those who make more than $200,000 annually. Only 4 percent of American households fall into that group as Patchwork Nation recently wrote. And broken in most of our 12 types, it’s closer to 2 percent. “Middle class” is a complicated phrase in America. It is often stretched to include families making hundreds of thousands of dollars. But when you look closely at the numbers, using an income-driven definition, the median household income in the U.S. sits at just about $50,000. This spring Patchwork Nation looked at median family income in our 12 types and found in most cases it was even lower than that. Look at those numbers and consider this: if you are married and filing jointly on your federal taxes and you make $69,000 or less, your tax rate is 15 percent. That’s lower than the rate in Perry’s plan and the same as Gingrich’s. There are, of course, a host of other points to consider in the debate over flat taxes. 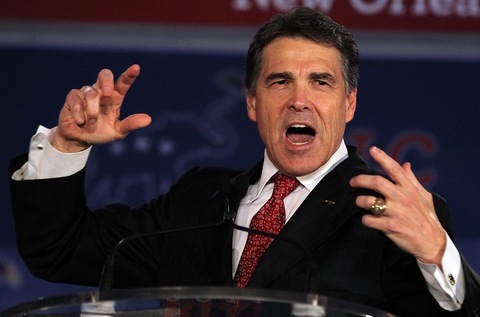 Perry’s plan would set a higher rate for individual deductions – $12,500. And Cain’s would bring the rate all the way down to 9 percent, though it would also add a national sales tax. But when you add that all of together – the polls and the numbers – a flat tax might be a hard sell for voters in 2012, particularly in some of Patchwork Nation’s poorer county types.